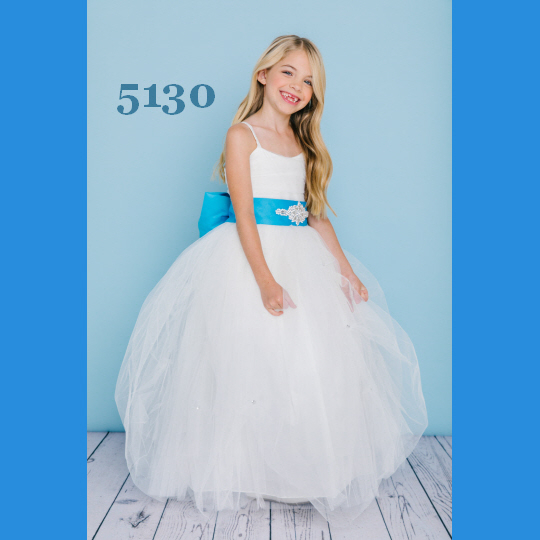 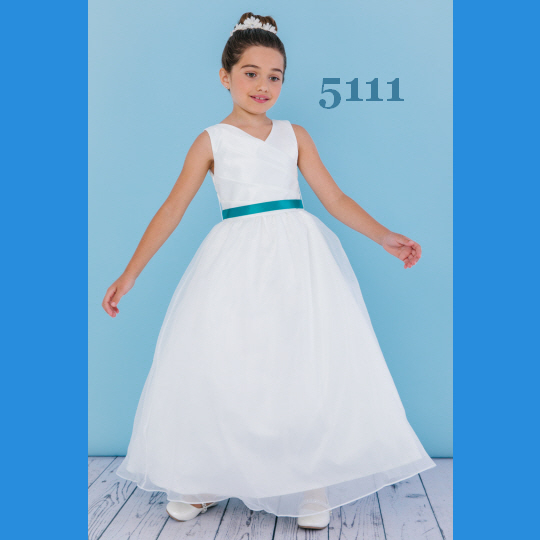 We carry an assortment of gowns for the younger girls in the wedding party. 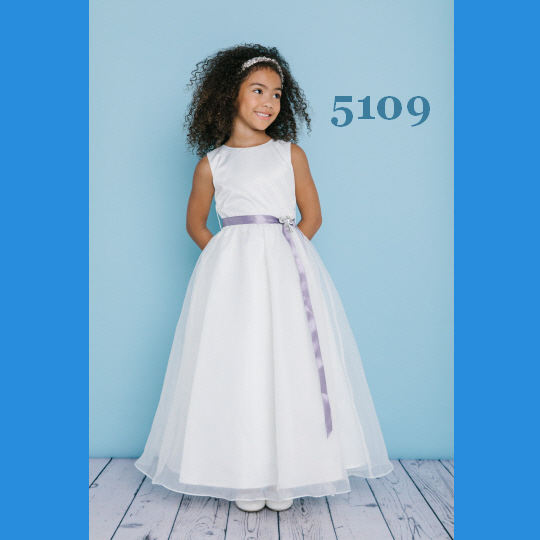 All dresses come in White or Ivory with lots of accent colors in Sizes 2-12 with select styles up to Size 16. 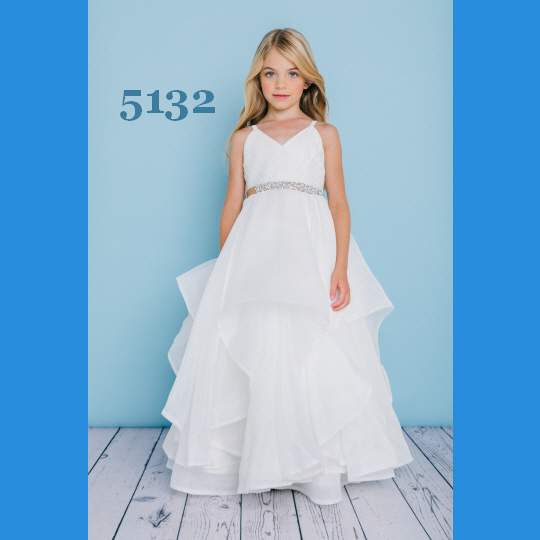 Gowns typically range from about $149-$229, depending on fabrication. 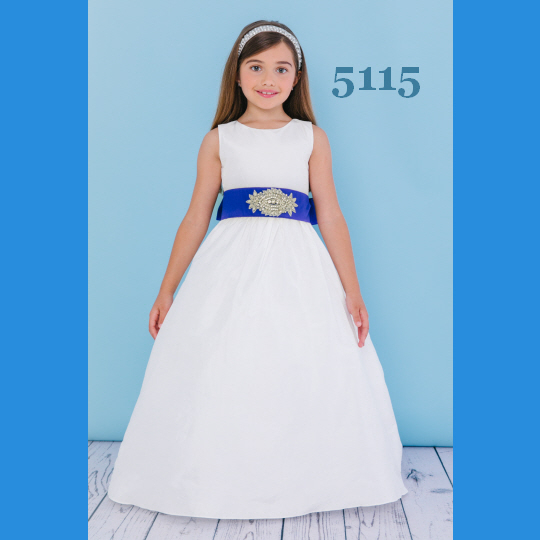 Plain belts can be upgraded to the bling styles. 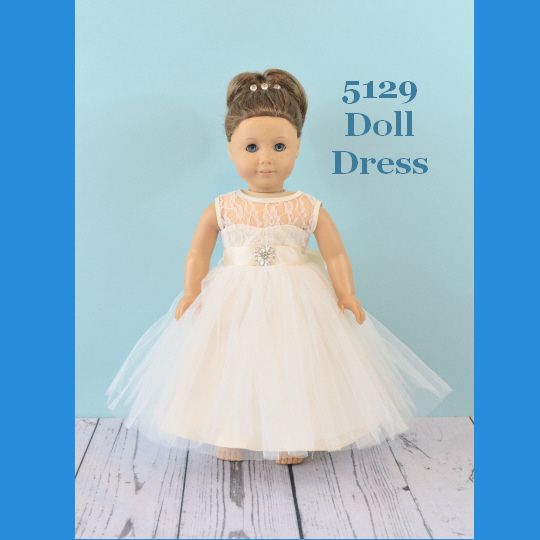 Dresses have a matching 18" Doll Dress that can be purchased separately.